NALP offers several resources for those involved in lawyer and law student professional development. The annual Professional Development Institute delivers timely and substantive topics for all involved in lawyer training and professional development. It is cosponsored by NALP and ALI-ABA in collaboration with the Professional Development Consortium. For more information, visit NALP's Events page. PD Quarterly is a digital journal that offers thoughtful, in-depth explorations of lawyer and law student professional development and talent management topics by PD people for PD people. All NALP members receive PD Quarterly as a member benefit. PD Quarterly is also available by subscription to non-members in NALP's Bookstore. 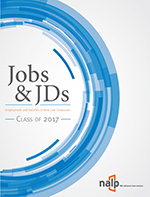 Employees of law schools, public interest organizations, and government agencies, and PDC members (who are not members of NALP) may receive a special discount by using this subscription form. 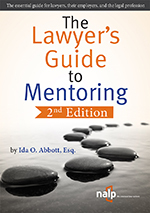 The Lawyer's Guide to Mentoring, 2nd Edition, by Ida O. Abbott, Esq. Lawyers' Professional Development: The Legal Employer's Comprehensive Guide, 2nd Edition, by Ida O. Abbott, Esq. Click here for a link to all PD-related publications in NALP's Bookstore. From PD Quarterly, February 2018. 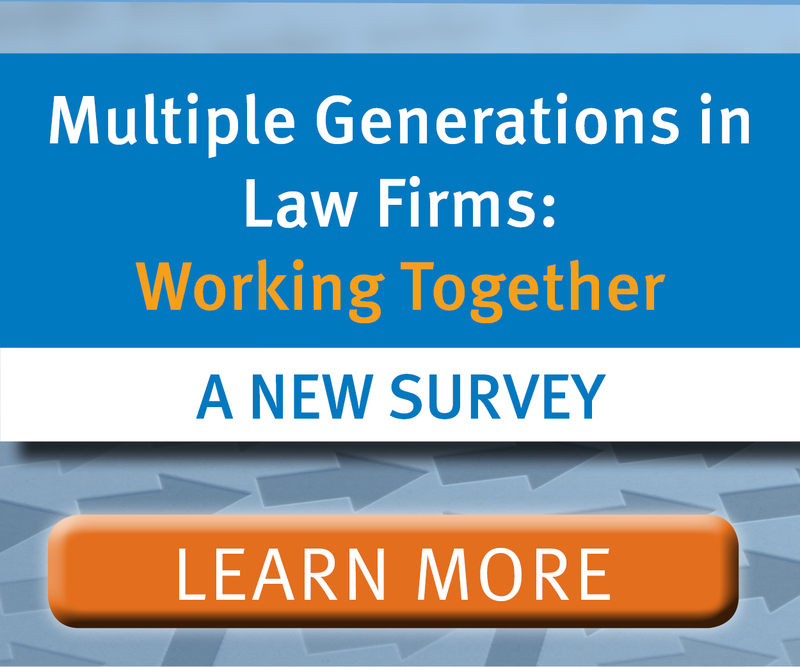 The ground-breaking report by the National Task Force on Lawyer Well-Being highlights the great need to prioritize lawyer well-being and offers a roadmap for action. For additional publications related to professional development see Professional Resources > Reviewed Resources > Professional Development. Section membership is open to NALP members only.